Custom ice cream bars with tons of options and toppings! You know the song. Everyone screams for ice cream. 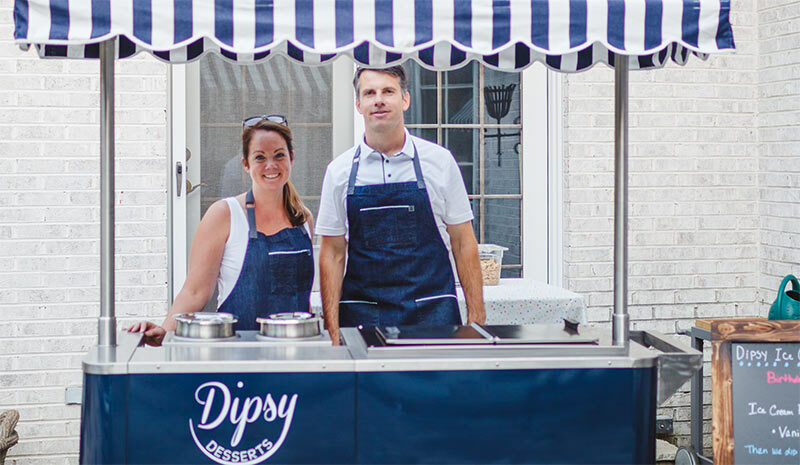 Why not have an awesome, custom ice cream cart at your next event? 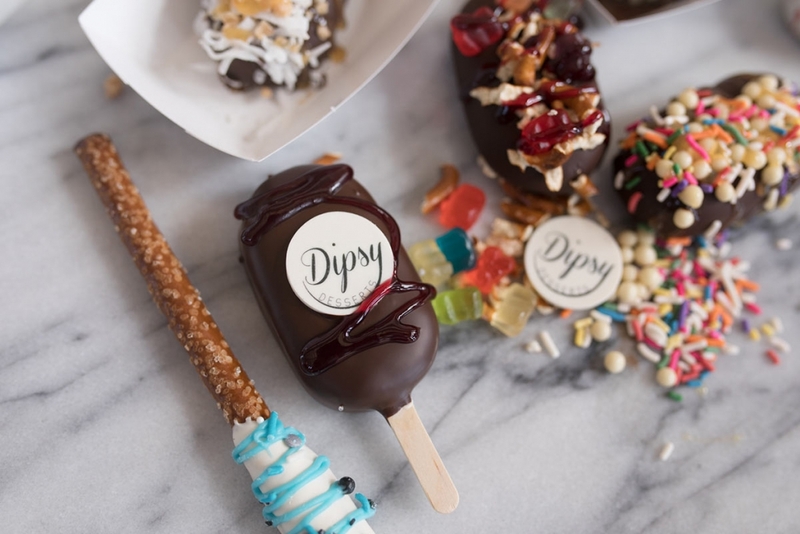 With Dipsy Desserts, you can even include a custom note on every bar. Your guests will be able to choose from a ton of toppings to create their perfect ice cream treat. And for those who want something other than ice cream, we offer churros, waffles, fruit, and lots of other dippables! Have guests with food allergies or diet restrictions? We can accommodate them! Hi, we’re Jim and Meghan. We’re a husband and wife team from Chicago. You’ll work directly with us to create a special menu. We’ll also be the ones dishing out the chocolate dipped treats at your event. We look forward to meeting you!